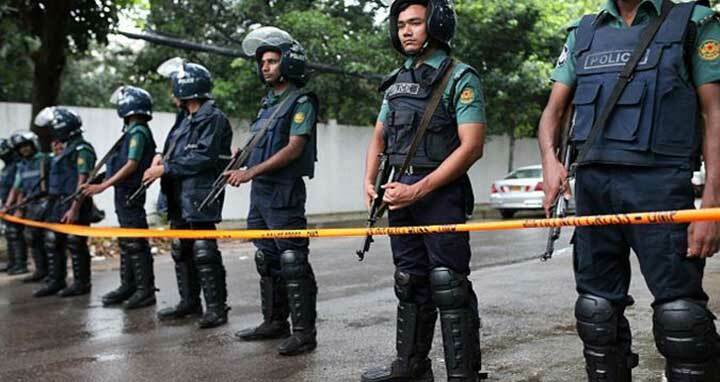 Dhaka, 10 October, Abnews: Police, RAB and other law enforcement agencies have taken up extra security measures in and around the capital ahead of the verdict of August 21 grenade attack case. Tight security has been deployed in different areas of the capital. Police started controlling movements of the people in Nazimuddin Road area, where Dhaka 1st Speedy Trial Tribunal is situated and scheduled to pronounce the judgment today. All the people, including journalists trying to enter the area, are being checked accordingly.